Hummingbirds are seemingly frail and fragile but are in fact some of the most hardy little creatures on the planet. 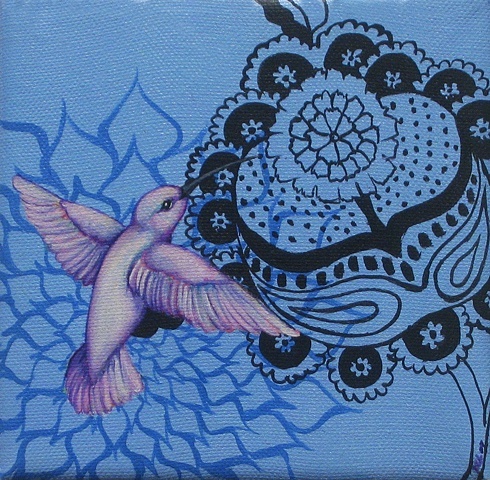 This fairy hummy bird reflects our own seeming frailty as it shimmers with it's opalescence in the light of awareness. But just as the hummingbird, our own spirit is essentially strong, resilient and enduring and we must always remember that truth.